No rules. Just write. : Free books for bloggers! 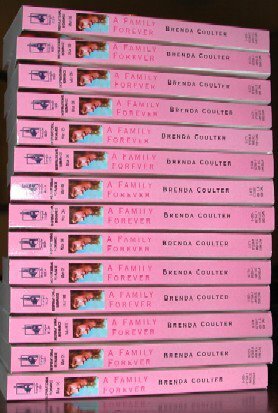 If you're a blogger with a U.S. mailing address and you'd like a copy of my new inspirational romance novel, A Family Forever, in exchange for blogging about it sometime during the month of February, read on. 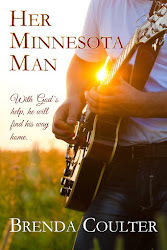 If you're not a blogger with a U.S. mailing address or if you wouldn't want one of my books even if I had it hand-delivered with a dozen roses and a box of Godiva chocolates, the rest of this post isn't going to be all that interesting to you. Sorry. Go water your plants or something, and come back tomorrow. Still with me? Here's the deal: I will send you a free, autographed copy of my new book in exchange for your promise to blog about it. No, you don't have to post a wildly complimentary review. All I'm asking is that you tell people about my book. You might choose to review it, or to post an interview with me, or you may do something else entirely. Hey, it's your blog. Your post must appear on a weekday (because blog readership is way down on weekends) during the month of February. If you e-mail me when you post, I'll give you a shout-out from my blog and publicly thank you for helping to spread the word about my book. Visit Brenda's blog, No rules. Just write. Agree to follow all of these instructions and I'll pop an autographed copy of A Family Forever into an envelope with your name on it. You can keep the book, make it a gift to your mom, or give it away in a contest on your blog. Heck, you can even sell it on eBay. Putting an offer like this on the internet is sure to attract a few crazies, so here's a disclaimer: A Family Forever is a romance novel meant to appeal to individuals who espouse traditional Christian values. If I suspect your intent in requesting a book might be to ridicule those principles or make fun of romance novels, I'm not going to waste my time and money on you. That said, if you're a fairminded individual who is honestly curious about inspirational romance novels and would like to try one (and blog about it), please let me know. More info on this promotion. Brenda - how wonderful! I've tried to email twice but both times it was bounced back to me. What should I do? Hi Brenda, I also got my email bounced back. Can you email me? Sorry, friends. I did get a truckload of e-mail this afternoon, but it's possible that my spam-eater got some of your messages by mistake. Tonight and tomorrow I'll be replying to those of you who have requested books, so if you don't hear from me by tomorrow afternoon, please try resending your message. Camy, I do see a message from you in my box. Pattie, I have just e-mailed you. Tina, I don't have an e-mail address for you, so would you please just try again? Thanks, everyone, for responding. It looks like I've snagged about 25 interested bloggers already, but I'll take a few more. Look at all those pretty, pink books. Just looking at that stack makes me smile. I'm happy for you. Thanks, Amy. You, too, Neal. All these good wishes are very much appreciated. No, really, send me a book. You still have my address from the purple pen escapade? I'd love to read it, interview you, and if I like/love it, I'll even post on amazon on it. I'll even try to ask normal interview questions. My heart, it is vast for you, baby. You mean since I'm part of the blogging alliance I have to wait to blog about your book until March? Aw, man! I hope I'll get the book soon. My email to you just bounced. I would love to participate in this. As a fellow inspirational romance authors and one published by a small publisher, I'd love to see how this experiment goes. Please contact me and let me be a part of this!!!!! I'll even try to ask normal interview questions. Katie, babe, I know you're a Christian Fiction syndicate member, but I don't have you on my list as having requested a book. Need your address. And yes, you have to wait until March 1-3 to post. But I'll send the book right away, and you can be the first kid on your block to read it. How's that? Nancy (and anybody else whose mail isn't going through), please try this address: BrendaCoulter2@aol.com Thanks for you interest. 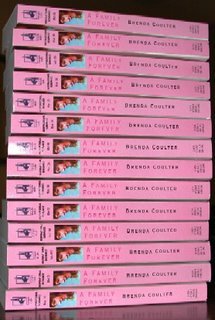 Brenda, I' on the Christian fiction Blog tour too, so we have to wait to get the books...waaahhhh! Mir, when you interview Brenda, let me know and I'll announce it in the post for the day! Bonnie, your little package is already addressed and will be going out tomorrow, with the rest of them. But you CF Blog Tour people aren't supposed to post until March 1-3. Tony Hines is organizing that, not me. My plan is to bribe a bunch of people to blog throughout the month of February, and then let Tony's CF Blog Tour people provide the grand finale during the first three days of March. I'm a member of The Writing Playground website (our blog is www.writingplayground.blogspot.com) and we'd love to participate. My email to you bounced. Please contact me at angel@writingplayground.com . Just gave you a shout, Danniele. Again, everyone, I'm sorry about the mail problems. Heck of a time for my server to be having spasms.